Social workers in Calderdale will run their own service from a town centre shop front after the council approved a year-long pilot scheme. The community social work practice will lease a shop in Halifax. It will also set up outposts in towns across the borough by running stalls at local markets or working with community shops. The service will be overseen by a management board and an advisory group of service users. If the pilot proves successful the council will consider setting up the practice as a public service mutual – an independent organisation that runs public services. Rob Mitchell, Calderdale’s principal social worker for adults, said the pilot aimed to “get social workers back out there and accessible to communities”. He said: “We want something that looks and feels different for people. Something a bit more appealing and inviting than your typical social work office with signs up about ‘zero tolerance to violence’ and that sort of thing. A shop front seemed the ideal way of doing it. It’s just another way of trying to communicate with people. The service will also build on a model piloted by Calderdale over the past year where a team of 12 social workers took all referrals for people not previously known to social care services. The team aimed to only consider traditional services, such as home care or residential care, after all alternatives were exhausted. Of 1,350 people referred to them, 97% were found community support options that did not require long-term involvement by social services. The community social work practice will give social workers more permissions to innovate, said Mitchell. He hopes it will see more practitioners working directly in partnership with people rather than depending on traditional commissioned services. “So, for example, you might work with 30 people on your caseload and there’s half a dozen who could benefit from something you can deliver on a Wednesday afternoon. What we’re saying is deliver it. Get the people together. Support them to form the network. I know it sounds like it should be bread and butter to social workers. It’s what we should be doing already, but honestly it isn’t because care management has channelled us down a very different route,” he said. 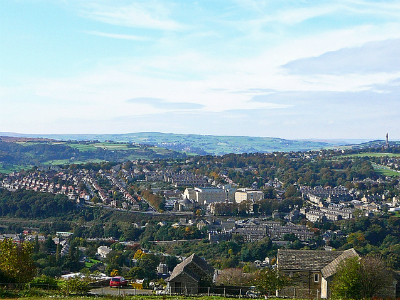 The Calderdale pilot is one of four schemes being supported by the National Development Team for Inclusion’s (NDTi) community social work programme. Bill Love, the NDTi’s head of development support, said the scheme aimed to help councils rethink the way their services were delivered. It was set up in response to concerns that the dominant care management culture in social work often left teams feeling “wrapped up in red tape” and disconnected from communities. “What’s really exciting about the Calderdale project is how much it is being led by members of the social work team in genuine partnership with the community. It’s had very, very thoughtful support from the senior management team too,” he said. Mitchell said having an advisory group of service users to shape the service and hold social workers to account is key. “That’s the group who can tell us how social work should be delivered. That’s what we’ve lost in social work – we get trained at universities, then managed by social workers who graduated years before us. Everyone’s prescribed a certain way of working. With the pilot, we want people using services to be the ones to say what works and what doesn’t,” he said.